Dr. George Vasmatzis discusses the importance of the Mayo Clinic Center for Indiviualized Medicine's Biomarker Discovery Program with the audience at TEDxMinneapolis. Everyone knows someone who has or has had cancer — including George Vasmatzis, Ph.D., co-director of the Biomarker Discovery Program at the Mayo Clinic Center for Individualized Medicine. This experience led him eventually to the Mayo Clinic where today he searches for clues in the human genome that may someday spare patients the pain and suffering he experienced as he witnessed his mother and father, neighbors and friends succumb to cancer. Dr. Vasmatzis recently shared this experience and his work in the Biomarker Discovery Program with a new audience — TEDxMinneapolis, the independently run TED event that is challenging people to embrace new ideas, take on tough issues, and understand profound developments that are changing our world. One of these profound developments is happening in cancer treatment. Dr. Vasmatzis introduced the idea of how biomarker discovery and next-generation sequencing are changing the way we treat cancer patients at Mayo Clinic and the Center for Individualized Medicine. Changes are occurring in health care with individualized medicine, and Dr. Vasmatzis’ work with biomarkers is helping to usher in new treatments for patients — like those with cancer. And it is helping to usher in a new hope in the fight against this deadly disease. Computers and high-throughput sequencing technologies enabled an emerging field called genomics that will revolutionize the way we understand cancer and treat patients. Via comprehensive interrogation of the molecular and informational content of cells, genomics is adding immensely to the biological knowledge of cell normality and dysregulation that leads to cancer. In this talk, Dr. Vasmatzis explains the human genome and how it's read and interpreted, as well as how genomics can be used for cancer biomarker discovery and patient treatment. 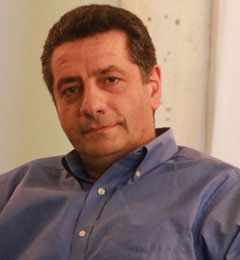 In addition to earning a doctorate in biomedical engineering, Dr. Vasmatzis has acquired experience in diverse disciplines, including bioinformatics, molecular biology and computational biology. His research team consists of bioinformatics specialists, molecular biologists, epidemiologists and pathologists. Dr. Vasmatzis' laboratory has demonstrated success in discovery and translation of several biomarkers as well as developing evidence-based models that should help clinicians stratify patients with cancer in order to provide each individual with the appropriate care. His organization's work is set on the shoulders of the Human Genome Project, and could present us with a vision — and hope — for the future of cancer treatment. 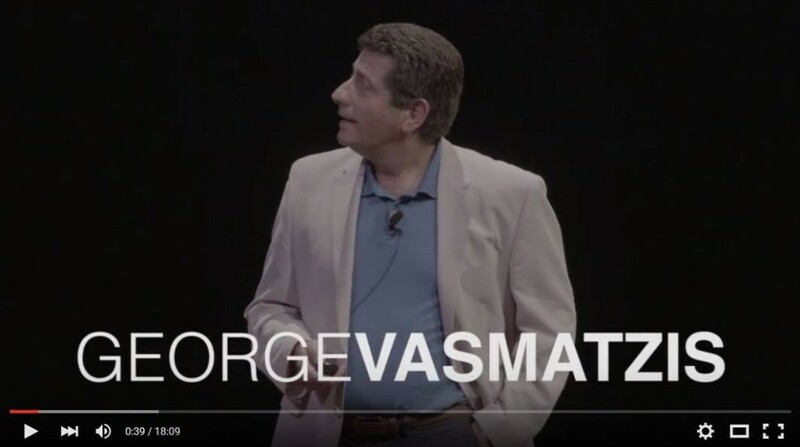 Here is Dr. Vasmatzis’ talk at TEDxMinneapolis. TED is a nonprofit devoted to spreading ideas, usually in the form of short, powerful talks (18 minutes or less). TED began in 1984 as a conference where Technology, Entertainment and Design converged, and today covers almost all topics — from science to business to global issues — in more than 100 languages. 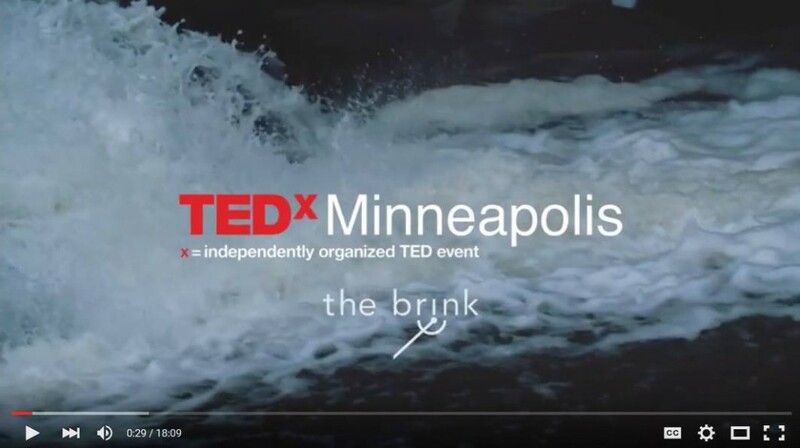 Meanwhile, independently run TEDx events like TEDxMinneapolis help share ideas in communities around the world. To read more about Dr. Vasmatzis work with biomarkers, visit Mayo Clinic’s Biomarker Discovery Program, or read the CIM blog on his work with next-generation sequencing.